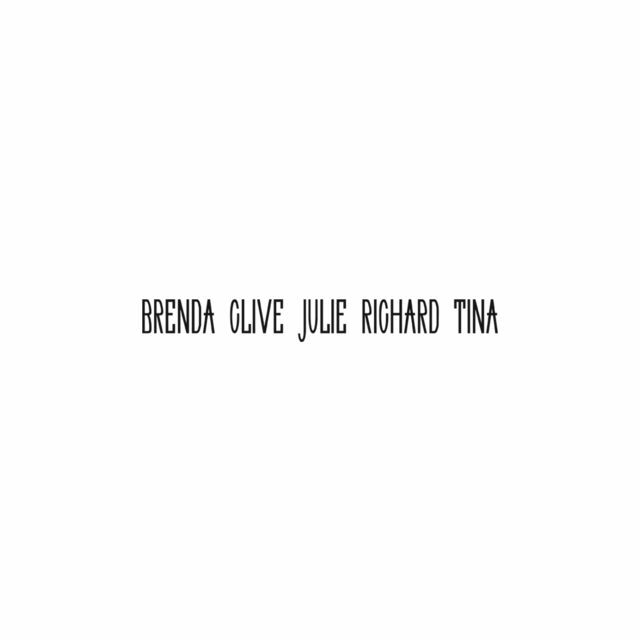 The Low-Residency MFA program in Visual Studies at Pacific Northwest College of Art (PNCA) presents BRENDA CLIVE JULIE RICHARD TINA, the thesis exhibition of work by the program’s graduating students. The exhibition opens August 2, 2018 with a reception from 6:00–8:00pm and will be on view until August 11, 2018. Each of the five artists, Brenda Whitehill Schlenker, Clive James, Julie Winter, Richard S. Boswell, and Tina Sparkles will present new work created in partial fulfillment of the requirements for their MFA degrees. The students worked with Hope Svenson, Director of Exhibitions and Curator at Yale Union in Portland, OR, to select and present their work for this exhibition. Svenson curated the group exhibition MOMMY and has worked on every exhibition at Yale Union since its inception in 2011. Svenson holds a B.A. from Hampshire College and a Master of Environmental Design from the Yale University School of Architecture. Most recently, she curated the Cathy Wilkes exhibition at Yale Union. ABOUT THE LOW-RESIDENCY MFA IN VISUAL STUDIES Rooted in critical investigation and rigorous, self-disciplined creative practice, the mentor-based Low-Residency MFA in Visual Studies program is ideal for motivated students who can work independently, who desire a flexible structure, and who are seeking the challenge and community of an immersive graduate program, inclusive of both discipline-specific and interdisciplinary practices. The program combines intensive graduate seminars with an exceptional visiting artist program. Intensive courses occur during three consecutive Summer Intensives and two brief Winter Intensives. The program is chaired by Aeron Bergman.